If you live in the Phoenix area, it's hard to imagine just one road that goes all the way through the entire area, from Wickenburg to Apache Junction, but there is one, and it's still there. It goes by many names, but originally it was just 60. And if you go back further in time, Highway 60 was the Apache Trail. 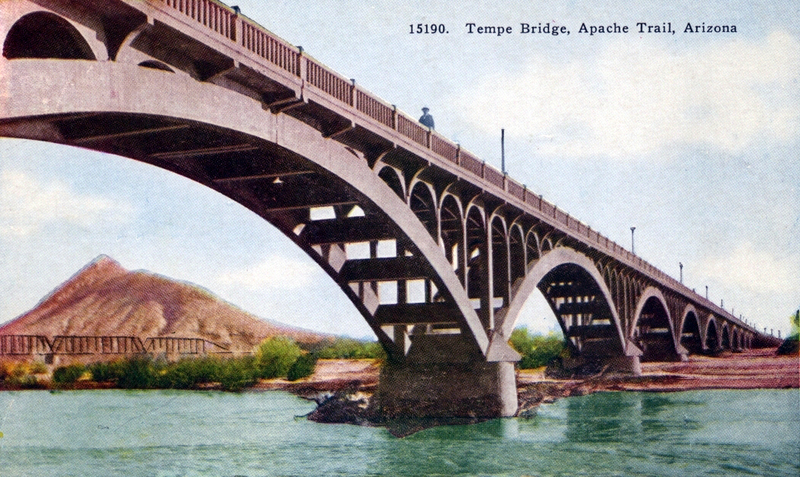 If you start from the east, it's still called the Apache Trail. It becomes Main Street in Mesa, Apache Boulevard in Tempe, crosses the Salt River as Mill Avenue (originally at Ash), goes through Phoenix as Van Buren, then goes north by northwest as Grand Avenue and on to Wickenburg. Old postcards tell the story. 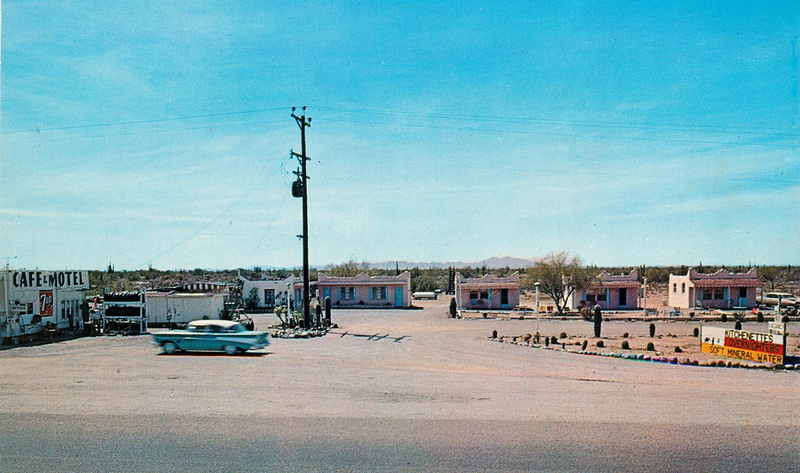 Long before freeways, the route through Phoenix was lined with motels. For those motels that were in the east valley, the confusion as to whether the main street was Apache Boulevard, Main Street, or Apache Trail, was solved by just using numbers. The main number, of course, was U.S. 60. In fact, before the late 20th century, there really wasn't any way that you could go far wrong, that was the trail. Anywhere else was just desert and small roads. If it had good pavement, chances are you were on 60. And since it was the only road through the area, it was also highway called 70, 80 and 89. Take a look at the motel in the photo at the top of this post. In the 1950s, do you think that you would have had any doubt that you were on the right road? This motel, called The Sand Tanks Motel, gave its address as six miles east of Apache Junction on U.S. 60, 79, 80, 89. You can't miss it.